Filmcutter has a longstanding partnership with X-Fiper, a company specialized in the development of innovative materials, with the goal of perfecting a product based on aramid paper to serve as a technically and commercially valid alternative to existing products on the market. 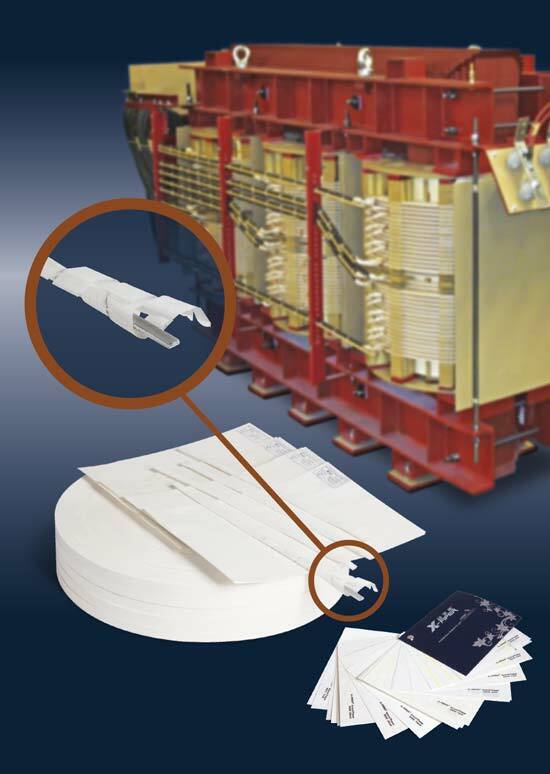 Filmcutter’s aramid paper can achieve thermal class H, making it possible to insulate copper or aluminum conductors at temperatures as high as 180°C. Our aramid paper X-316, the version designed for lamination, is the key ingredient in creating laminated products used as electric and thermal insulation for motors and transformers. In particular, Filmcutter produces Filmterm NM5 (Class F – 155°C), Filmterm NMN5 (Class F – 155°C), Filmterm NMN8 (Class H – 180°C), and Filmterm NMN PREPREG (Class H – 180°C), which can be used as slot insulation and slot closure in electric motors or in dry type transformers. Aramid paper X-630, in turn, has even greater electrical, mechanical and technical characteristics and can be used as wrapping for twin leads or other copper or aluminum conductors and in all electrical equipment that calls for insulation class H (180°C).